Spurred on by the success of their gas attack on 22nd April, the Germans struck again two days later on the northern sector of the Ypres salient at St. Julien. Once more chlorine gas was used and despite a resolute defence the British and Canadians were pushed back and St Julien was lost. For nearly 2 weeks the fighting continued on this front. The Germans persisted with their attacks, the British fought desperate rearguard actions and launched many counter attacks but gradually they were pushed further and further back. 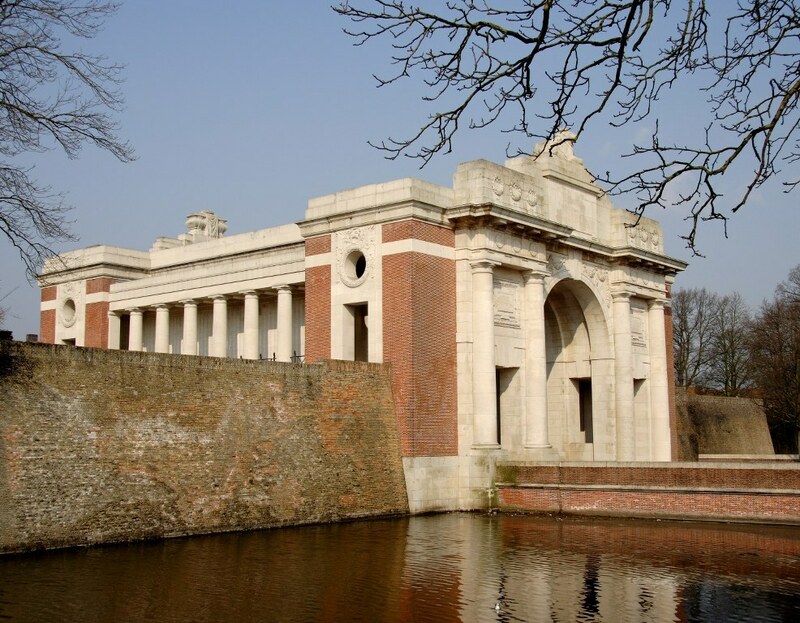 Eventually, during the night of 3rd & 4th May the British forces were withdrawn from their forward positions and took up a new defensive line closer to Ypres. On 1st May, 1915, 2nd East Kent (Buffs) 85Brigade, 28th Division were in the line at Verlorenhoek when a fresh draft of men from England arrived to make up the battalion numbers after the losses of April. There was no time to allot them to Companies and instead they were put en bloc into a new support trench in front of a wood where a new line had been consolidated. The next day this new draft came under extraordinarily heavy gunfire and then on 3rd May there was a full blown German attack which was directed mainly on 85 Brigade, 28th Division and 11 Brigade, 4th Division near Berlin Wood below Gravenstaffel ridge. Starting at dawn the artillery bombardment grew and grew until it sounded like machine gun fire. It was a critical situation. Parapets were blown in and there were many, many casualties. There were no communication trenches so individual platoons and sections were isolated. In the afternoon the enemy rushed and took a trench, D5, where there was little or no resistance left. 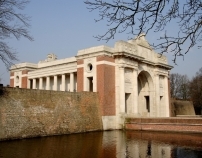 It had been occupied by 80 men of C Company all of whom were reported missing, either killed, wounded or taken prisoner. Many of the new draft were killed before anyone had had the chance to find out who they were. The German attacks continued and there were a number of heroic rear guard actions as the survivors fell back to the support line where at dusk things quietened down but the lack of British artillery support had made it a very unequal contest.